(WASHINGTON, DC) -- On Thursday, June 29, Independent Women's Forum will host Oops! 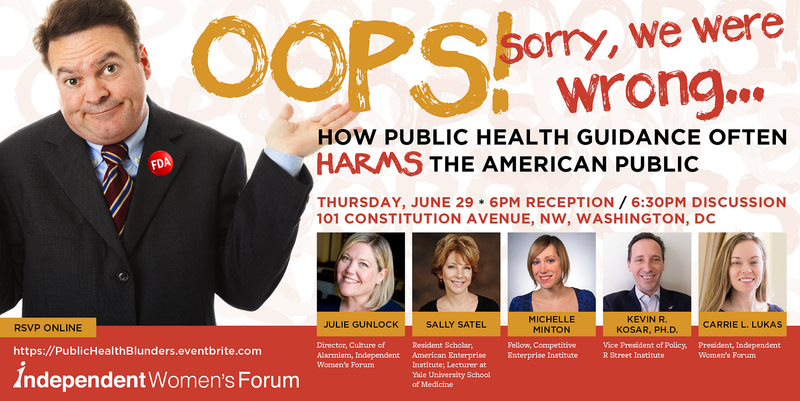 Sorry We Were Wrong… How Public Health Guidance Often Harms the American Public panel discussion. 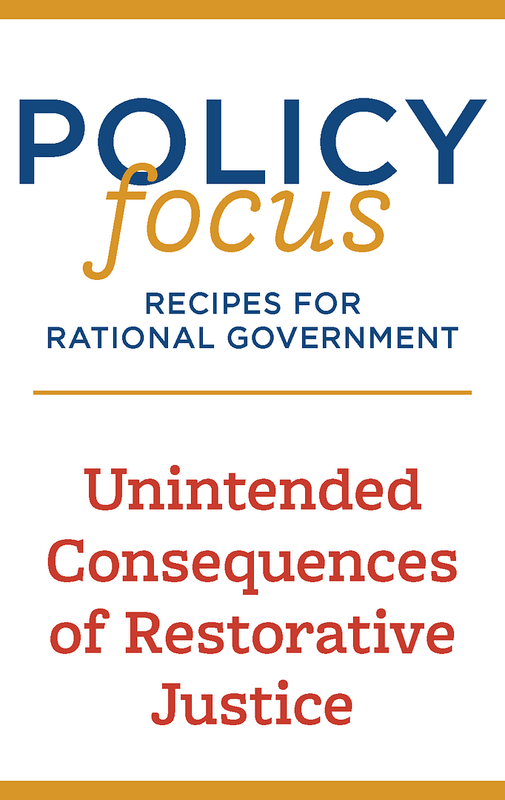 Government-issued guidance on everything from butter, eggs, red meat, alcoholic beverages, salt, certain preservatives, and even on if pregnant women should eat fish have been proven false, reversed, or disregarded entirely by their former government champions! This has left Americans confused and distrustful. Panelists Sally Satel, M.D., Michelle Minton, Kevin R. Kosar, PH.D., and Julie Gunlock, all heavyweight thinkers in the field, will examine this issue, and what free market solutions can improve public health.